Animals have proven to be able to assist people in overcoming grief, which has led to a recent rise in the use of therapy animals; although animal-assisted therapy theory has been around since World War II. An Emotional Support Animal (ESA) or Comfort Animal is an animal that, by its very presence, mitigates the emotional or psychological symptoms associated with a handler’s condition or disorder including depression, panic disorders, anxiety, post-traumatic stress disorder, phobias and fears. They can also be found in many establishments such as funeral homes, hospitals, nursing homes, schools, and hospices to help patients and students deal with overwhelming feelings of isolation and grief. An “emotional support animal” is NOT regarded as a “working service animal” under Title II and Title III of The Americans with Disabilities Act (ADA), since the animal does NOT need to be trained to perform a disability-specific task. For example A working service dog means any dog that is individually trained to do work or perform tasks for the benefit of an individual with a disability, including a physical, sensory, psychiatric, intellectual, or other mental disability. Tasks performed can include, among other things, pulling a wheelchair, retrieving dropped items, alerting a person to a sound, reminding a person to take medication, or pressing an elevator button. Different laws govern the use of service animals in different contexts. The ADA governs the use of service dogs in public places. The ADA also limits the definition of service animals to dogs while almost any animal (cats, dogs, mice, rabbits, birds, snakes, hedgehogs, rats, mini pigs, ferrets, etc.) can be considered an emotional support animal. 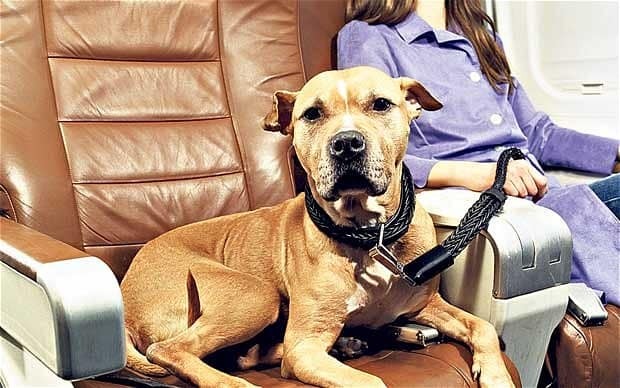 The only legal protections an Emotional Support Animal has are 1) to fly with their emotionally or psychologically disabled handler in the cabin of an aircraft and 2) to qualify for no-pet housing. No other public or private entity (motels, restaurants, stores, etc.) is required to allow your ESA to accompany you and in all other instances, your ESA has no more rights than a regular pet. For more detailed information regarding the differences between “working service animals” and “emotional support animals” please check out this link! How does having an Emotional Support Animal help? The act of caring for another creature may take a person’s mind off of depression, anxiety, and/or phobias. Knowing that an animal depends on them also puts things in perspective. Their sadness won’t magically disappear, but for a while it may not be as pressing. A support animal may give someone a reason to get out of bed even if it is just to go for a walk. They provide more exercise opportunities and more time spent outdoors, especially for dog owners. A support animal is non-judgmental and always listens when you talk. It helps reduce feelings of isolation, loneliness, and stress which provides better mental health. Based on the accompanying symptoms of a client’s emotional or psychiatric disability, a licensed mental health professional must determine whether having an emotional support animal in the home might provide the client with some relief from the disability. To make this determination, it may be useful to have some understanding of how an animal may alleviate symptoms or effects of an emotional disability. Therapy animals are a valuable tool in helping with many issues, including as bereavement. Become a member of The American Academy of Bereavement today to find more resources on grief.